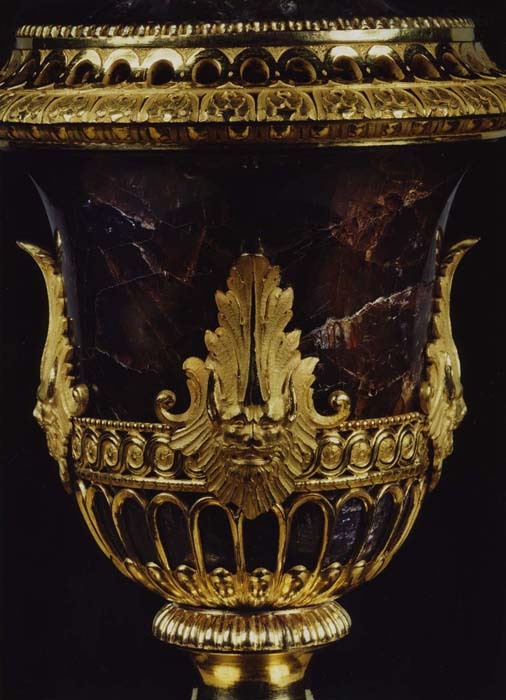 This vase is nearly identical to one in the Royal Collection at Buckingham Palace and is strongly influenced by Sir William Chambers. 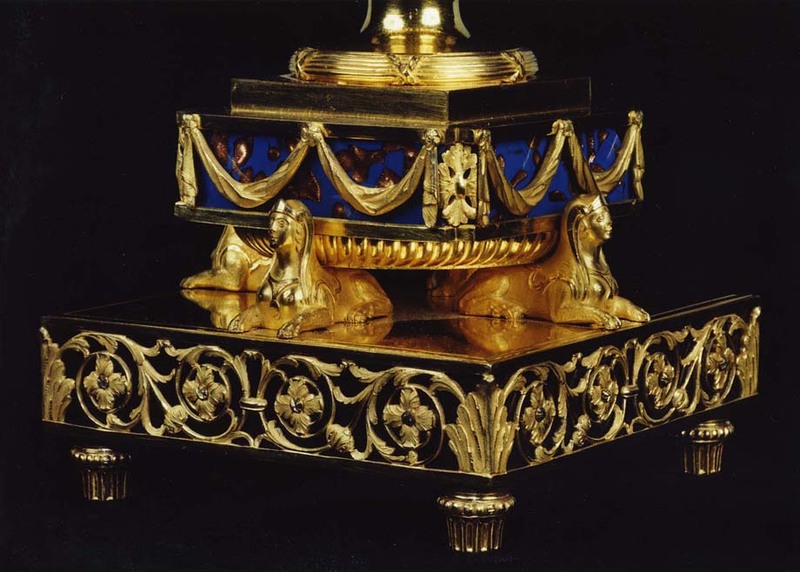 Features such as the recumbent sphinxes and the grotesque masks point to a very strong connection between Matthew Boulton and Sir William Chambers. 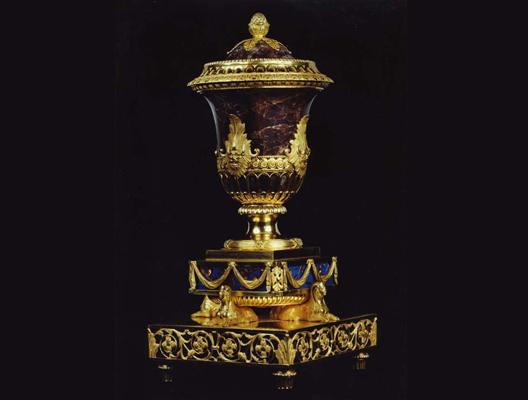 The blue john stone has been very carefully chosen to marry up with the colour of the tortoiseshell and the gold flecks in the aventurine glass. 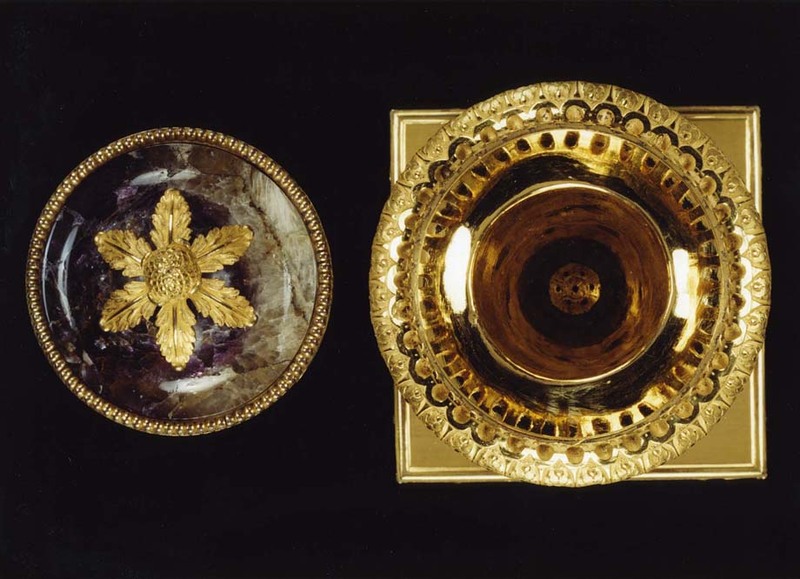 The ormolu mounts retain their original mercury gilding and are of top quality craftsmanship. 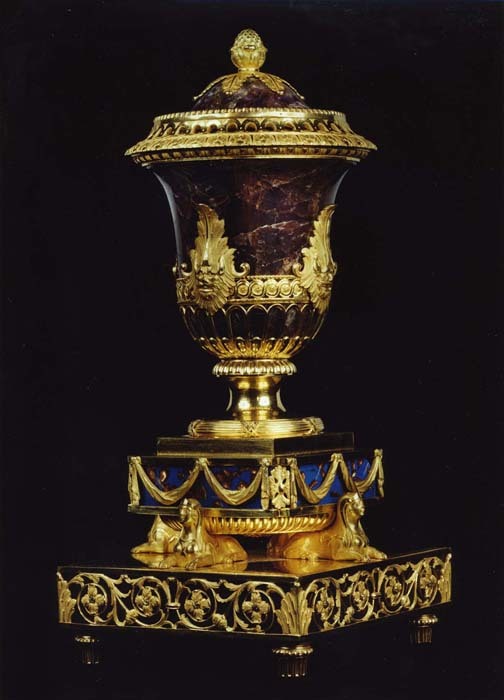 Blue john, gilt bronze, glass and tortoiseshell. Height 12 3/4in (32.5 cm). Width 5 3/4in (14.5 cm).